You're not just wrong, you're stupid. I'll get you, and it'll look like a bloody accident. 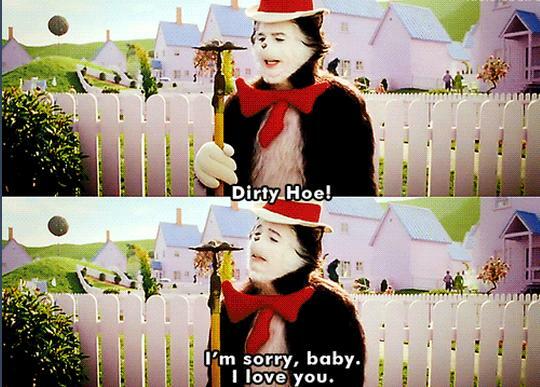 Dirty Hoe! I'm sorry,baby. I love you.